The Dental Assisting Technology program at SKC is flexibly designed to meet the needs of all students. The DAT program trains students to become dental assisting professionals, involved citizens, and to be an asset to and compliment the dental health team. Practical experience within the dental clinic as well as “externships” within the community, in private dental offices and tribal clinics, are integrated within the curriculum. Students may enter the program at the beginning of any quarter. Upon completion of the Certificate, graduates are eligible to take the Dental Assisting National Board exam to become a Certified Dental Assistant (CDA). The Dental Assisting Endorsement may be offered to students who successfully complete 21 credits of training and meet the requirements as an entry-level dental assistant as defined by the US Department of Labor. This does not qualify a student to take the Dental Assisting National Board Exam to become a Certified Dental Assistant (CDA). Background checks are mandatory for national exams. The dental assisting technology program prepares students for entry-level work in the dental profession. Students who graduate from this program may gain employment as general chairside dental assistants, dental hygiene assistants, or as dental assistants in specialty offices. Graduates of the program are eligible to take the Dental Assisting National Board (DANB) examination to become a Certified Dental Assistant. Experienced dental Assistants in the State of Montana earn approximately $20.00 per hour according to a 2016 salary survey conducted by DANB. Entry-level jobs in the profession range from $13 -$15 per hour starting pay. 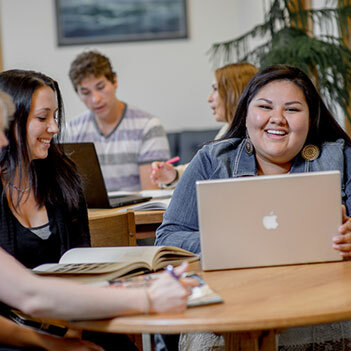 Students who complete this program have found employment with local and regional dentists, in Indian Health Service facilities across the nation, have returned to school for additional dental training, or have received degrees in related professions such as nursing, environmental science, or social work. The Department uses a direct method of assessment through testing and through both clinical and laboratory competencies. Competencies include preparation of professional resumes	and mock interviews. The department utilizes graduate surveys, student course evaluations, and dentist evaluations of students during their 300-hour externship training as indirect evaluation methods. Most surveys indicate a high rate of satisfaction with both the program and with student performance in clinical procedures. Faculty has analyzed the pass, fail, and withdraw data along with surveys to determine our success in preparing students for the profession. Over the past year we have recognized that entry level students may need more one on one instruction and so have reorganized the clinical experience	to insure that this will happen. More team teaching will begin this fall quarter and will be implemented in two of the entry level courses so students have a variety of faculty experiences, and faculty continue to be cognizant of the information that is continually being updated in the curriculum. Policies and procedures have been developed related to bloodborne and infectious disease. These policies, which may be obtained from the department, are available to applicants for admission and patients. Contact the Dental Assisting Technology Department for More Information. Contact a specific faculty or staff member here.